Fighting Emotions Makes Them More Powerful. For each of us, there are times we have emotions we don’t want. As you know, the usual response is to fight them, to resist and try to force them away. But there’s a problem with fighting emotions, it makes them more powerful. 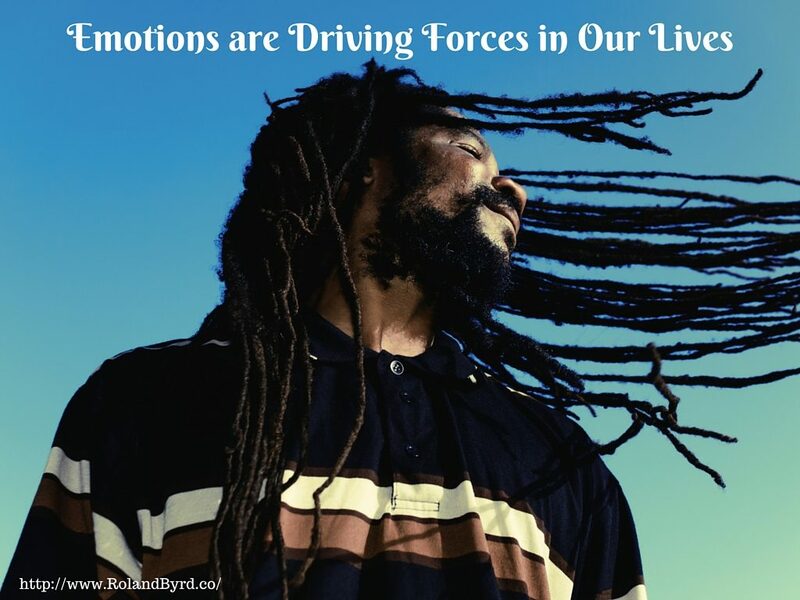 Emotions are driving forces in our lives. They spur us to action. They shape the way we view the world. They impact how we interact with others. They can easily alter our path on any given day. Emotions can seem desirable—happiness, excitement, hopefulness—and they can seem undesirable—feelings of loneliness, depression, guilt—but whether we want the feelings we’re having or not, there are times they can help us and times when they hinder us. How can feelings like loneliness, depression, and guilt help us? They’re signs that something is amiss in our lives. In essence these are calls to action, warnings that something must change. When we listen to, see, or feel these signs—and we choose to take action—we can discover the root cause of the feeling. Once we understand the root cause of the feeling we can take steps to address the underlying issues. We can heal. Feelings like happiness, excitement, and hopefulness help us too. These feelings help us understand if what we’re doing is having desired results, they can keep us motivated during otherwise difficult times, and they have positive physiological benefits that improve our overall health. When people fight their emotions it’s usually emotions like sadness, anger, guilt, or other emotions most think of as negative. That’s because we tend to resist things we want to avoid. Feelings like these hurt so we try to avoid them, ignore them, or fight them. Avoiding emotions we don’t want and ignoring them are both coping mechanisms. Coping mechanisms are simply patterns of action and thought that we’ve learned to help deal with emotions or situations that are difficult for us. The problem with coping mechanisms is that they aren’t proactive and they don’t solve issues. They simply relieve the emotional and psychological pressure until the crisis passes. When the same or similar situation arises again we still have no idea how to deal with it in a healthy manner. Fighting emotions we want to avoid is also a coping mechanism. And as I mentioned above, fighting emotions has another major flaw, it gives them more power over us. When you fight something you give it attention, you focus on it, you have lots of strong feelings about experiencing those emotions, and you give it energy. Giving something attention and energy coupled with strong feelings tells your subconscious mind that it’s important. When your subconscious mind thinks something is important it does what? Right! I does its best to give you more of it. That’s why fighting sadness leads to more sadness, fighting anger creates more anger… Fighting any feeling or thought reinforces and creates more of that feeling or thought! Also, when we push against something the force has to go somewhere. When you’re pushing against an inanimate object, it will either move or the force pushes back against you. But human nature seems to be that the harder we’re pushed the harder we push back. Your emotions are the same, the harder you push against—or fight—an emotion, the harder it pushes back. Fighting Your Emotions both Increases Your Subconscious Mind’s Opinion of How Important They Are and Makes Them More Powerful. But if fighting emotions doesn’t work, then how can you deal with emotions like anger, sadness, depression, etc.? First it’s important to remember that all emotions are temporary. That means emotions live and die by the attention you give them. This is a strange concept to many. We’re used to latching on to emotions and nursing them—both positive and negative subjectively. If you’re feeling happy and you keep thinking about all the reasons you’re happy, then the feeling of happiness is going to last until you stop reinforcing it. When you’re feeling sad or angry—and you keep thinking of all the reasons you feel that way—your sadness or anger will last longer and even increase until you start thinking of other things. The next time you feel something strongly, just let the emotion happen. Notice that it’s there, even thank it for what it’s trying to tell you, and then let it be. You’ll discover that the emotion passes much more quickly than when you nurse it along. This is what it means to “Just Be”. Let the emotions of life ebb and flow like the tide. A good way to develop this ability is to practice daily meditation. As you meditate more and more you discover that emotions and thoughts flutter through your mind like butterflies, only pausing if you feed them by giving them attention. As mentioned above, it’s also helpful to discover the root cause of some emotional reactions. This isn’t necessary with everything you feel. It’s a good idea though when your emotional reaction is strong, out of proportion to the situation, or personally debilitating. A simple way to discover the root cause of emotional reactions is meditate on the question, “Why do I feel this way?” Then let the answers come without judgment and look at them, feel them, and hear them from your current understanding of life. You’ll often discover that your perspective has changed from when that emotional reaction pattern was originally developed. Understanding this helps you change the pattern.